PONY RYDER: We hear that you are one of the nicest models in the industry! You can’t be nice all the time :) Do you ever get annoyed?? ?SIRI TOLLEROD: hehe, I do..
PONY RYDER: So here we are, with another fashion season in progress. Agencies, designers, PR-s working non stop! And you, how do you prepare for the fashion weeks?SIRI TOLLEROD: I try to relax the most I can, and prepare myself mentally for some hectic weeks ahead. PONY RYDER: Yes, but how do your organize your time during the busiest seasons?SIRI TOLLEROD: I take one thing at a time. I sometimes wish it was a few more hours to put in some more sleep, but nothing I can really do about that! PONY RYDER: So is 24 hours enough? SIRI TOLLEROD: hehe, So 24 hours simply needs to be enough..
PONY RYDER: Many models, while starting have jobs like show rooms or show looks. Did you had that type of jobs at the beginning of your career?SIRI TOLLEROD: Not really, I did one day of showroom in Milan once for bridal dresses..
PONY RYDER: Did you experience this 2009, the year of crisis, as well? Or the situation didn’t really affect you directly?SIRI TOLLEROD: The crisis hit almost everyone I suppose... I saw it mostly on budget cuts. PONY RYDER: You did an editorial with Toni Garrn, shot by Karl Lagerfeld! Did you went to casting for that editorial or you where called directly?SIRI TOLLEROD: I didn´t go to casting, it was a direct booking. PONY RYDER: Where was the shooting? The location looks a bit cold!SIRI TOLLEROD: We were in the north of Germany in a place called Rügen. It was last summer so it wasn´t cold as I remember... That is actually one of my favorite stories! PONY RYDER: Yeah? As well as Toni's. 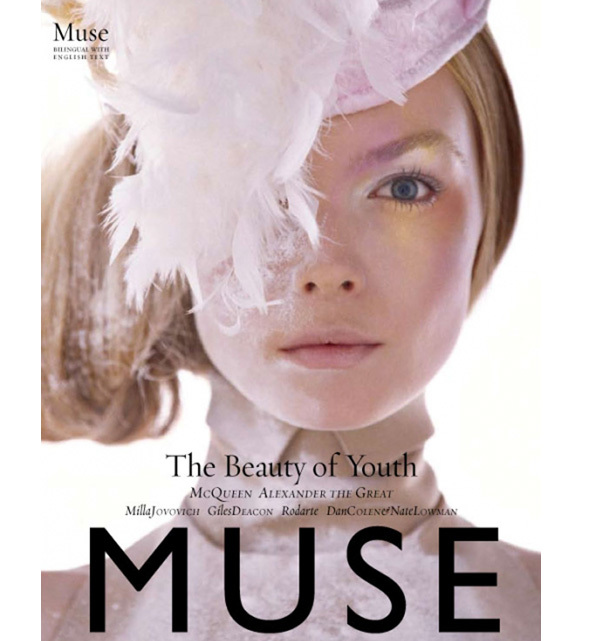 How about your favorite cover?SIRI TOLLEROD: I really love my MUSE cover shot by Hans Feurer. I think it is really beautiful and calm, but still very interesting at the same time! PONY RYDER: Who are you best friends in fashion anyway?SIRI TOLLEROD: Charlotte De Calypso, Kasia Stuss, Sheila Marquez, and Heloise Guerin. PONY RYDER: Where do you shop for your clothes? Still in H & M like you did when you where scouted? PONY RYDER: The most comfortable shoes you have are...? 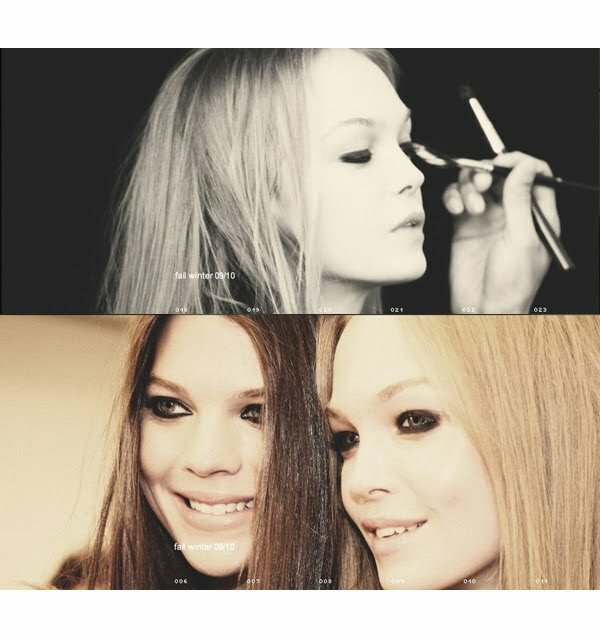 SIRI TOLLEROD: I have one pair by Acne that is really comfortable, and another one by Prada Sport. PONY RYDER: What brand of eyewear do you like? SIRI TOLLEROD: Everything!!!! I love sunglasses. PONY RYDER: You have her music as a ring tone? What is your cell phone ring tone at the moment?SIRI TOLLEROD: haha it´s one of the tunes that were already on my blackberry! PONY RYDER: Speaking of mucis&music world&music ring tones :) What is the best festival you ever been to? PONY RYDER: Taking care of the environment is something you talked about in your previous interviews. What upsets you the most about that subject when people don’t care?SIRI TOLLEROD: I hate it when people are throwing garbage in the street. That is one of the simplest thing anyone can do. Use a trash can! The other day I saw a man opening his car door and just leaving some of his trash right on the street! PONY RYDER: Really??? And what do you do to take care of the environment?SIRI TOLLEROD: I use my feet or a bike or public transortation. I recycle, do not leave water running, keep my lights off when i don´t need them, simple stuff, that we all can do! PONY RYDER: I Agree. So Siri… You can not miss beauty talk… Do you friends back home ask you for beauty advices?SIRI TOLLEROD: When I´m home they ask me sometimes. About what is new, any good products etc. PONY RYDER: What did you learn about beauty routine while modeling?SIRI TOLLEROD: I have always been good to take care of my skin, but after I started modeling I have become more concious about using sun block, and I never go to sleep without taking my make-up off and cleaning my face! PONY RYDER: What products do you use for maintaining your skin? SIRI TOLLEROD: Dermalogica, Biotherm and Bliss are my favourites! PONY RYDER: What brand of make up remover do you use? PONY RYDER: What is in your makeup bag?SIRI TOLLEROD: Chanel or Clinique Mascara, consealer from Guerlain, lipbalm from Elisabeth Arden and Lancomé, Dior Pouder. PONY RYDER: How do you stay in shape? What type of sport do you do? SIRI TOLLEROD: I walk a lot. When I´m home I love to go hiking in the mountains and I go skiing in the winter. PONY RYDER: What products do you use for nourishing your body?SIRI TOLLEROD: I love Biotherm body lotion! PONY RYDER: How does your breakfast look like? PONY RYDER: Is there a place where you enjoy drinking your coffee while in New York? Interview with fashion model Siri Tollerod is original work by Pony Ryder.